How do you improve on one of life’s simple pleasures? Handheld or detachable shower heads are pretty nice. Well made ones take everything great about a shower and make it portable, both within the shower itself and in the world as a whole (hey, nothing stopping you from taking it to a hotel or something if you travel a lot! ), upgrading the experience in a number of ways. Still, that “well made” clause is an important one. Cheap or poorly made detachables or handhelds can be frustrating in a number of ways: unbalanced or uncomfortable to use, overly heavy, fragile, or just with an inferior flow because of the long hose or bad nozzles. This one boasts a wide range of features and options not matched by much else on the market. The primary feature is Grohe’s “Dream Spray” technology, which boils down to the water flowing evenly to each hole in the active spread pattern. It may sound like a small thing, but it’s something a lot of units have an issue with, making certain settings far more lackluster than they should be when the ones at the edge dribble or only get half the flow of the ones closer to the center. Around this centerpiece technology are five different settings: normal (even spread to all holes), jet (focused blast primarily around the center), massage (more focused but gentler than jet), rain (a soft and wide spray), and “Champagne”, which primarily utilizes those larger holes to provide slow, fat droplets of water. In addition to being a detachable or handheld it also has eight preset positions on its mount that allow it to adjust to positions a normal unit both could and could not as easily do, letting you take advantage of its normal and rain settings for a satisfying shower. While the price is high (under $200, though not by a whole lot) it’s more than worth it in my opinion for a high flow (2.5 GPM) and variable units. Stylish, durable, and all around great. The main draw of this one is the lengthy 69 inch (almost 6 feet!) double interlock metal hose. Long enough you can use it anywhere in your shower on any part of your body, allowing you to make full use of its massage spray, or any of its other three spray settings (full body, invigorating spray, and combination). This product outputs 2 GPM, and is also WaterSense Certified, saving you money without sacrificing too much on the water pressure front (though I admit, my preference trends toward the highest pressure possible so this is a slight downside to me). My main complaint about this one is the price: over $200. While a great unit (and potentially worth the price just for looks alone, it coming in chrome, nickel, or bronze and being a nice shape), the price is enough to put many people off it, for good reason. Still, when it comes to items that are high quality and will be unlikely to need replacing within five years or so, it’s hard to hold that against it too much. Our Kohler option is quite unique. I’ll admit, this one is partially on here just because of the novelty. A rectangular product is just not something you see very often. Still, I wouldn’t put it here if its functionality didn’t at least match its form. While technically this isn’t a handheld by default, it can be purchased with a hose and is far more useful in that regard, so I’m counting it. The default spray pattern for this one is a rain pattern, and the only controls are in how much pressure; for those who love rain types (as many do) this is perfect, though those who don’t should steer clear. I personally can take it or leave it, but the ability to simulate a warm rainstorm over my head sounds quite nice. The maximum GPM of 2.5 also puts it into my good graces, with the square shape making it far lighter and easier to maneuver than other types, though of course limits how wide the spray is when mounted as well. The 60 inch hose fixes that issue, making it a perfect product for evenly spraying water for a good clean on the extremities. While not my favorite, it’s definitely interesting and not a bad option by any means, and worth the under $150 price tag for enthusiasts of the rain spray pattern. A good mid-range detachable product. As handhelds go, this one is pretty good in all respects, but doesn’t really stand out in any one regard. It has 9 spray settings, though of those you’ll probably only ever use a few and they’re mostly combo sprays anyway (there’s a reason why even high grade units only offer four to five options) but if your tastes lie somewhere in the middle of the norms in terms of pressure and coverage, you’ll likely enjoy that. This is primarily composed of plastic with some metal components, but is reported to be quite sturdy and is by all accounts well constructed; cheaper materials don’t necessarily mean inferior design. 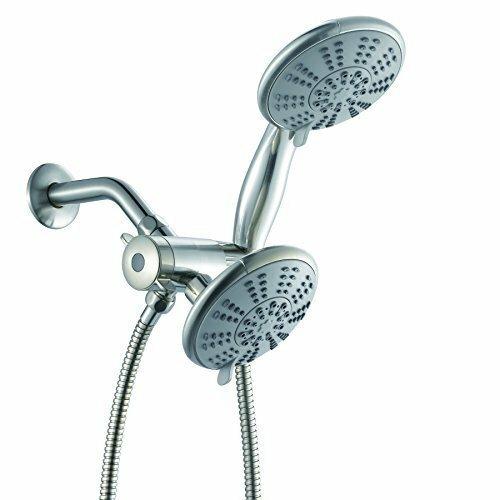 Its surprising heft is counterbalanced by a non-slip grip, which is a feature you’d think would be far more common in detachable or handheld shower heads but is in fact relatively rare. This is good, since the hose is quite long (a full 6 feet), which to my eyes is actually a bit of a mistake: a hose that long, if dropped, is capable of impacting the floor and potentially breaking (either itself or the tub it it’s a combo tub/shower; porcelain is prone to cracking and the head is quite heavy). 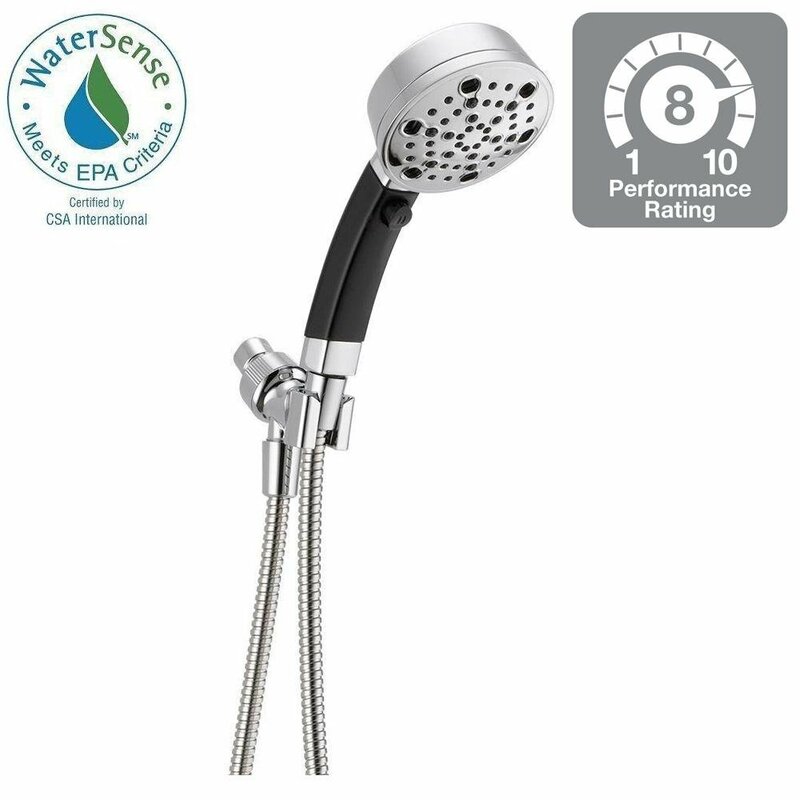 It is EPA WaterSense certified and comes equipped with Touch Clean technology, the parts coated with a substance that resists calcium and lime build up to prevent them from adhering to the surface. As a result, any build up can be easily wiped away with just a finger or cloth, no need for chemical cleaning products or the old stand-by (vinegar and baking soda). All in all this is a pretty darn good product for under $50, my only real complaints being it doesn’t have a high pressure setting and isn’t really anything to look at. A good, relatively cheap high pressure option. While, in my opinion, a quite ugly unit, its performance is pretty great for what it will cost you. It comes with 7 settings, though really 5: a full body option, an eco friendly full body option, a water saving trickle, a “power spray” option that delivers a slightly more focused jet, and a pulse massage; the last two simply combine the pulse massage with either the power spray or full body option. An anti-clog nozzle (perfect for people with high mineral content in their water) and five foot hose round up the under $50 package. It’s not going to blow your socks off by any means, but it’s a good product for cheap, and you don’t need any additional mounts or plumbing work done to make use of it like some of our higher end models. Of course our top dog overall is the best here too. I really like this unit. It’s powerful, it has all the settings you could need (and none of the fake settings many brands try to use to pad out their setting list), it’s easy to clean, looks nice, and works great. Complaints could be leveled about spending so much on a product, but my philosophy with anything of this nature is figuring how long it’s going to last me and determining the cost per year. Buying a cheap shower head might be good in the short term, but if it breaks in the first year then it wasn’t worth it. And extra quality to go with sturdiness…well, it’s a no brainer. Maybe a little too high pressure for some people’ tastes. Comes in with four settings: blast, stronger blast, pulsing blast, and super blast. Okay…I’m kidding, but I’m not off by much. While it claims to have a rainfall mode and water saving mode to go with its blast and massage settings, the pictures and videos of it belie that notion. Even the weakest setting has the water jetting out super fast…and that is apparently with its “low flow restrictor” installed. The hotter the water and higher the pressure the better, in my opinion. But even for people who like high pressure showers this might be a bit much in some cases. The jet blast looks downright uncomfortable, and same for the massage. And a returning favorite again. Of the cheap options this one seems perfect if you like high pressure but not TOO high pressure. 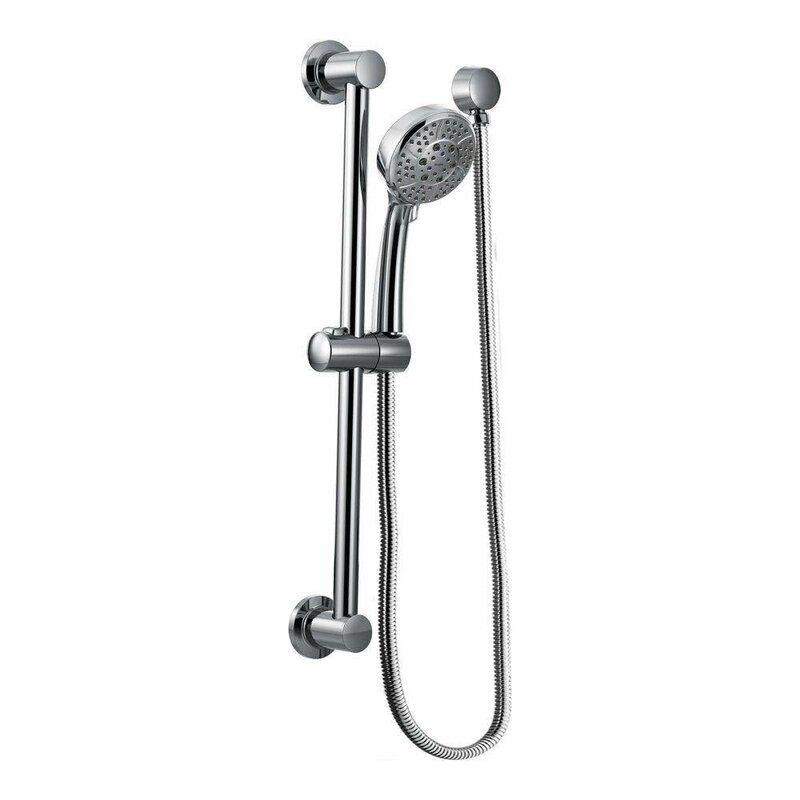 I used to own a shower head just like this and it was great, no complaints. For the price it’s hard to beat, and is significantly better than a lot of more expensive options on the market (arguably even more so than this list’s Kohler in many regards, unless you really like the Rain jets). While it loses points for over-inflating its count of spray settings, it’s still good and cheap, which is all you can ever really ask for. 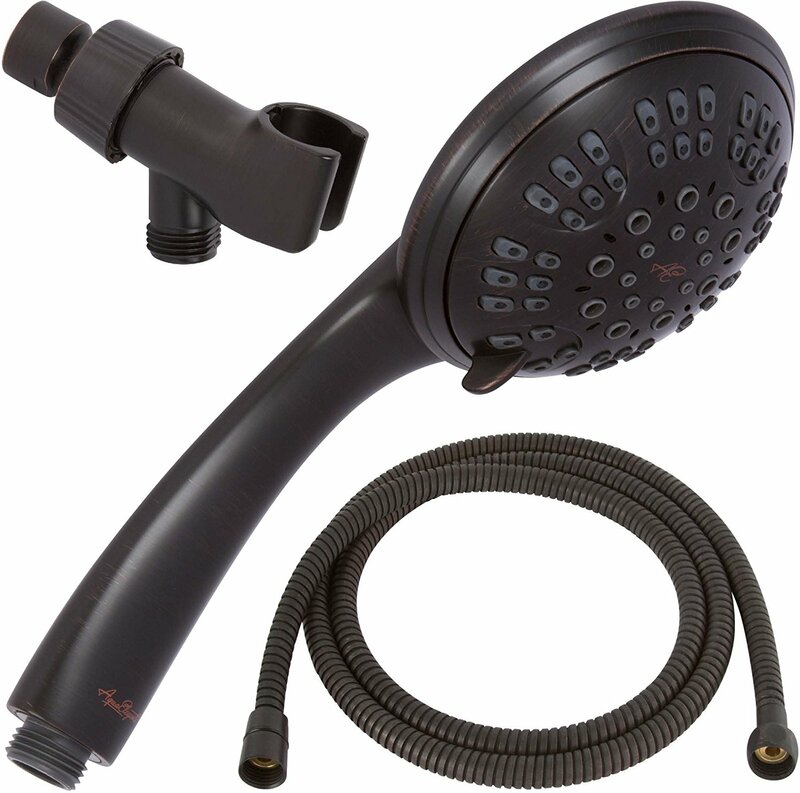 Pretty good, as far as combo shower heads go. I’ll admit, combo units have never really appealed to me. The concept of them is sound, combining the optimum parts of a fixed product and a handheld one, but in practice I feel like a properly mounted handheld shower head does the job just as well with less space taken up in your shower and less hassle to install. Still, as far as these go, this one is about as good as it gets. The water diverts nicely, and comes with a range of settings available for each head: saturating (your classic shower flow), bubbling (a more focused, but softer flow), and a pulsing massage. These three can be combined any way you choose on each or both of the shower heads. The units here are 5 inches wide (more than a normal one) to give a wide ranging spray and are easy to clean. A 5 foot hose on the handheld side tops things off, all of it coated in the same nickel finish. For under $60 it’s not a bad deal if you like this kind, though be warned that they are more difficult to install than others since you need to set up the three way diverter when you put the combo unit together. This one boasts “thirty settings”, which immediately loses it points from me. It has 6 settings per face (two of them simply combining the massage and other settings), and the same ones on each face, making all those settings beyond 6 a simple combination of other ones across the different faces: power rain, mist, and massage, plus an eco saving rainfall. Still, it’s a pretty good set of shower heads for half the price of the previous one, and offers a rain option the last one did not. Overall construction is pretty solid for the price, and is backed up by a limited lifetime warranty. Easy installation gives this one a leg up over the other combo unit, but overall quality ultimately wins out over easy installation. The latter is a few moments of discomfort, but the former is forever. The Movario Five is the clear winner here in every category. It simply performs every function the others do but in some cases better. It can be high pressure or low pressure, it looks nice (the second nicest after the Moen) and is just all around worth the money. Don’t discount the cheaper options though: the Delta 75509 in particular is one I’d suggest looking at if you’re on a budget and still want a quality product. 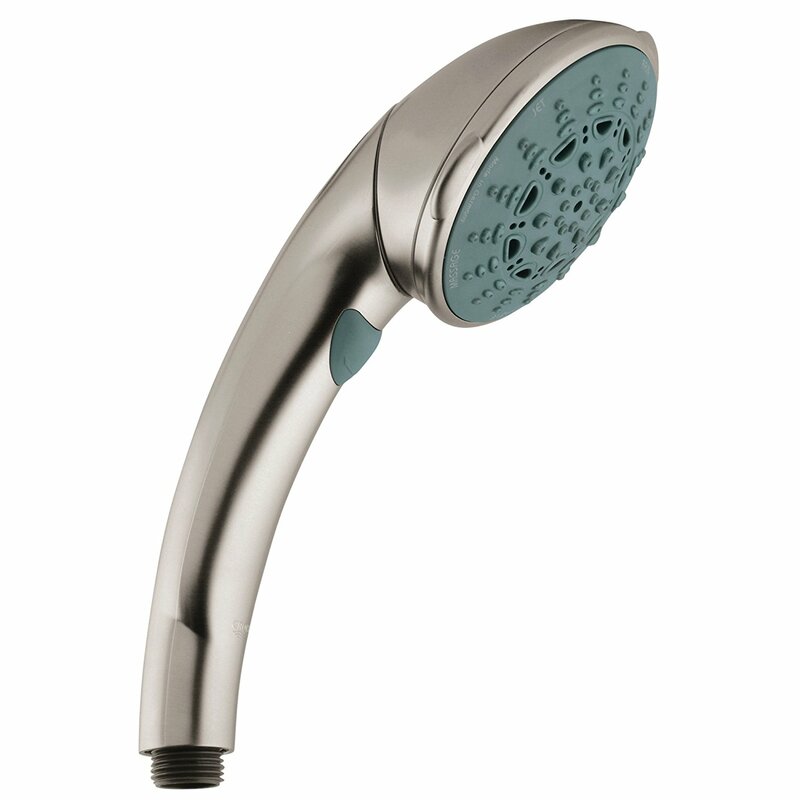 Handheld shower heads are a dime a dozen, but there’s quite a lot more good options out there than I could fit on this list, but these are representative (I feel) of the range of products out there. 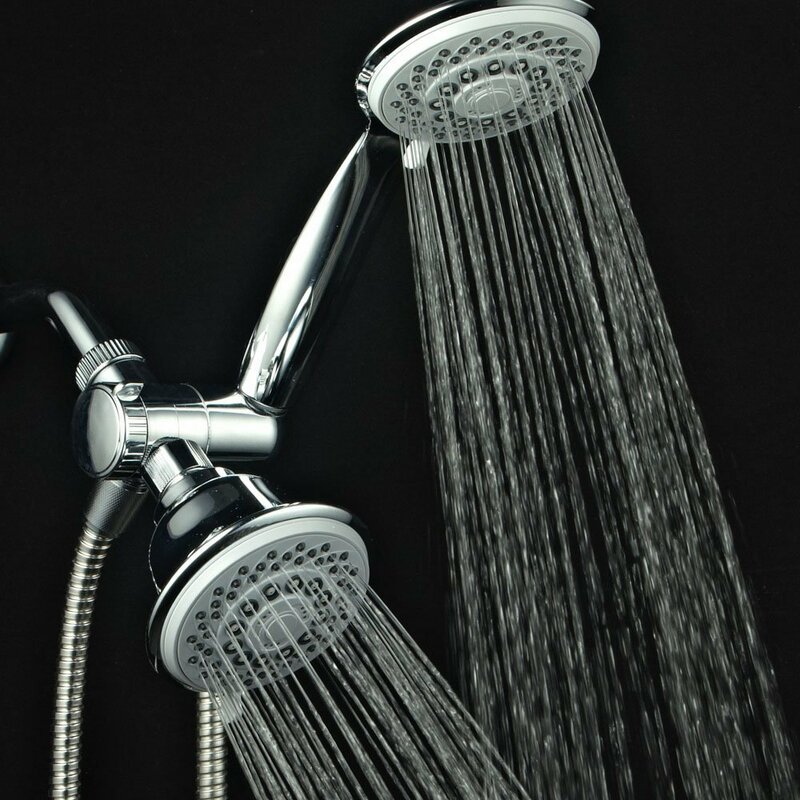 There are only a few main things you need to look out for when shopping for a handheld or detachable shower head: flow, length, settings, and price are the primary ones. Generally, a shower head is expected to have a 2 GPM (Gallons Per Minute) flow at base, and 2.5 GPM for a high pressure unit. These are not allowed to exceed the 2.5 GPM limit by default, though could be modified for that purpose. I personally prefer high pressure, but some prefer the average or even below average (low pressure heads below 2 GPM, usually starting at 1.8 GPM). Referring to the combination of the “wand” or handle and the hose together. I think the ideal size is about 5 and a half feet for both together. Large enough you can reach every part of your body, but small enough that if you drop it will “bungee” and avoid cracking against the floor. Some come in longer and shorter variants, but I wouldn’t buy anything with a length shorter than 5 feet or longer than 6; the former isn’t long enough for certain purposes (especially if you want or need to lay down in the tub while using it) and the latter is likely to be too long and just end up bunching and tangling. 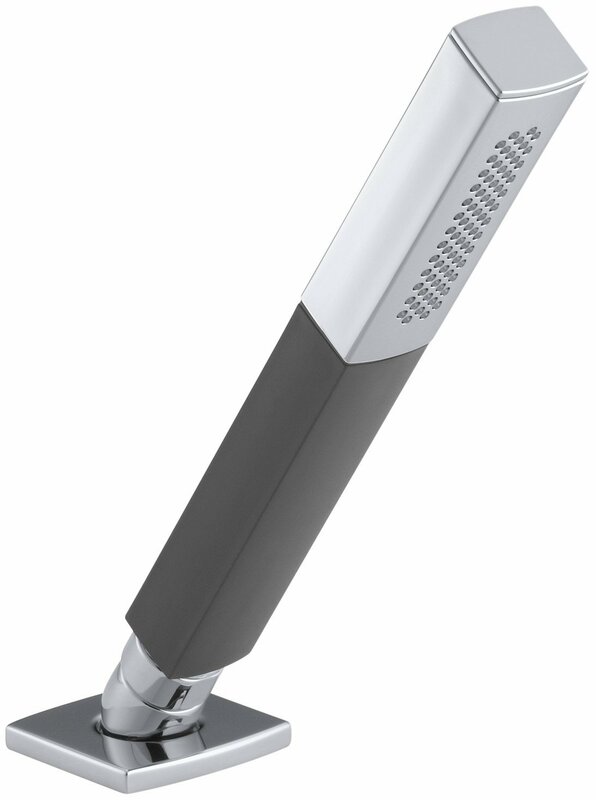 A detachable handheld product should at minimum have these three settings: a normal of full setting that utilizes all its holes, a massage setting that concentrates and pulses the water, and a jet setting (for cleaning). Better handheld units will have settings like “rain” (a gentler setting made to simulate rainfall; a preferred setting of many), water saver (which lowers the effective GPM to conserve water. Good for RVs and such especially), and others. Generally no product does (or really should) have more than six “true” settings. Those that claim more usually refer to combinations or points halfway between certain settings (such as reporting a combination of the full and massage settings as a separate “full massage” setting). I find this to be deceptive advertising, and most of the products avoid doing it. 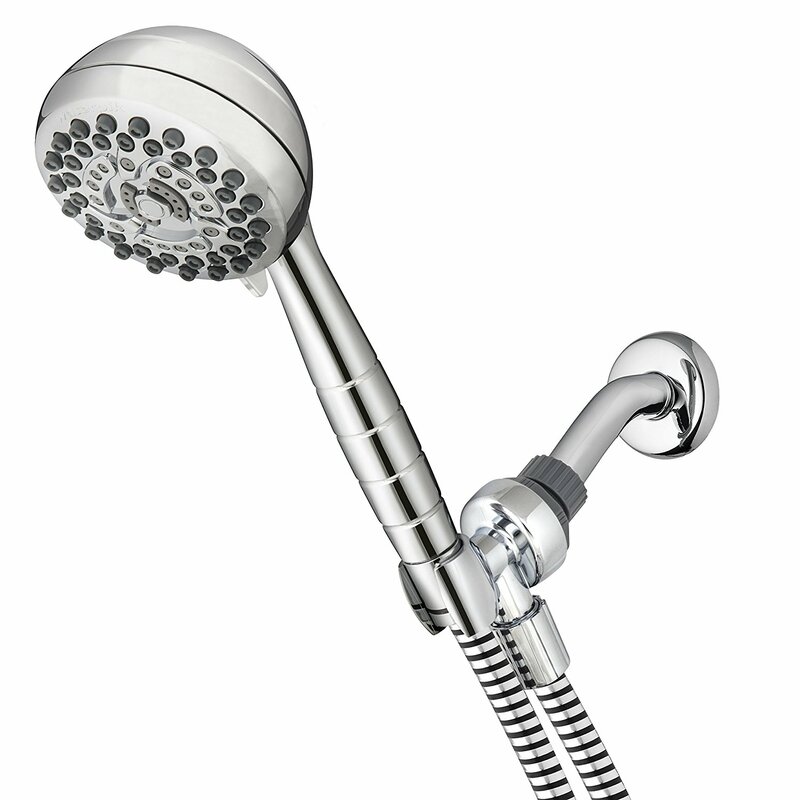 The price of a detachable or handheld shower head varies widely, going from as low as $20 to as high as $300. The main difference at any price point will be its overall construction (better units generally being constructed of metal, often brass, and built sturdier), number of truly discrete settings, and some factors unique to some brands (like proprietary technologies). You can find good detachable units at nearly any price, though I wouldn’t purchase anything much cheaper than $50 if you expect it to last long term (unless it’s a more expensive model on sale, of course) and you should also be wary not to overpay for a feature you don’t really want or need (such as a model that jacks its price through the roof for a combination of the “jet” and “massage” settings or that offers a “spa experience in your own home” if nether is something you desire).